Thinking about Visiting Ireland! Join in on an activity holiday or research city breaks Ireland. You will be delighted you used My Holiday Ireland. Ireland is recognised as being an exceptional destination for an angling holiday and with the wide variety and great quality of fishing on offer Ireland has earned a popular reputation worldwide. The island is approximately 500 km in length x 300 km wide and with its high ratio of water to land, there are thousands of lakes and rivers to chose from. The Irish climate is well suited to sport angling because of its moderate summers, mild winters and ample rainfall every year. The warm waters of the North Atlantic Drift reach the south and west coasts, providing a surprising mild climate. The result is a unique mixture of cold and warm water fish species, suitable for all levels and interests. In fresh water, fish such as Carp can be found while the marine types include Cod and Coalfish, Bass and the mid Atlantic Blue Shark. Salmon and trout are most popular in Ireland which effectively means that species such as pike, bream, tench, roach, rudd and eel fisheries are largely left to the tourist. Sea angling is especially popular along the south and west coasts and charter boats are readily available and well organized. Lakes, rivers and coastal stretches are surveyed and mapped, fisheries are managed and stocked, while banks and access routes to the waters edge are developed to ensure the visitor gets directly and easily to the hotspots. 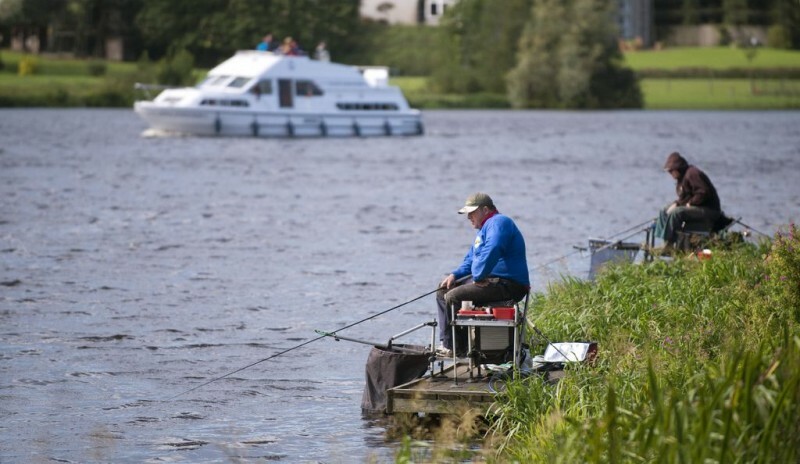 Most angling is organised around recognised angling centres, which specialise in catering for the angling tourist therefore an angling holiday in Ireland is easy and well organised. Salmon and trout fisheries are usually the property of an individual, club, organisation or the state and permission to fish is required except in the case of state owned lakes, such as the Great Western Loughs and the magnificent Lakes of Killarney. Customised fishing itineraries can be tailor made for you depending on your preference for type of fishing, time of year and preferred location when visiting Ireland! So now pack up your tackle and fall hook, line and sinker for the charming Irish waters and its treasures.